Shaanix, Province is a must visit destination for anyone coming to China on vacation. Everyone that comes here leaves absolutely astonished! However, the Terrracotta Army is only one of many wonderful, historical attractions. Thought by some to be an ancient Christian relic, the Daqin Pagoda was first mentioned as far back as 1064, but the construction mimics Buddhist architecture. Other important sites are the Zhao Mausoleum, Yan’an, the site of the “Long March” in China’s cultural revolution from 1935 to 1948. Mount Hua, a beautiful and majestic mountain and one of the Five Sacred Taoist Mountains. The Taibaishan, ( Mount Taibai) in the Qinlin Range is the highest peak. 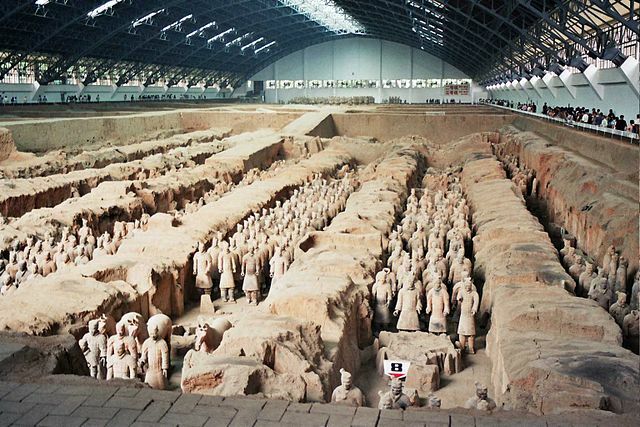 Inside the city of Xi’an: City Walls, Shaanxi History Museum, The Great Mosque, The Bell Tower and Drum Tower, Forest of Stone Steles Museum and the Wild Goose Pagoda.